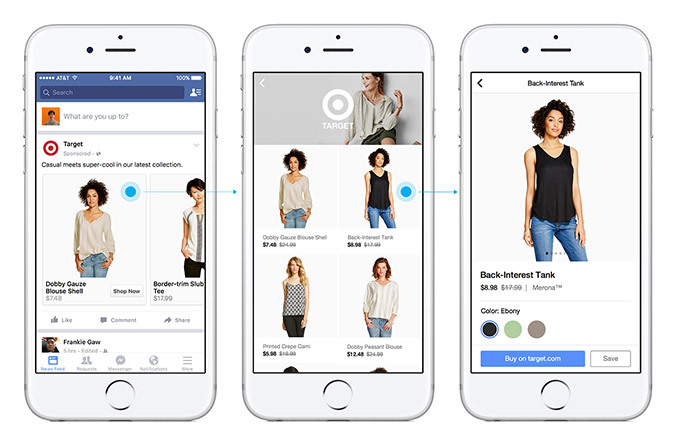 Facebook is testing two new shopping features that could ruin the recovery of impulse buyers trying to kick the habit. While they are two distinct additions, both enable you to make purchases from within the mobile apps. The first experimental feature is called Canvas, and it turns the typical scrolling FB ads you see into immersive ones. When you click on an advertisement that has the capability, it loads a full-screen page where you can choose the item variant/color and buy it on the spot -- no need to launch the seller's website. The other is the addition of a Shopping feed under Favorites, which displays the merchandise of brands participating in the Shop section Facebook introduced in September. It even has a search bar to make it easier to find whatever it is you're looking for. Just like every other feature the social network's testing, though, both will only be visible to a small number of users and might not make it to general release. 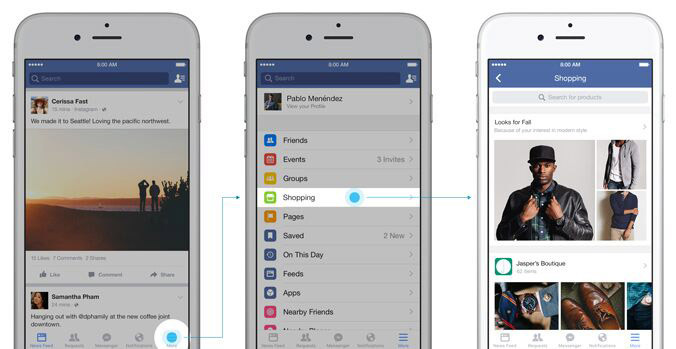 Features that enable people to buy right from Facebook's mobile apps will greatly benefit the social network. A recent US comScore study showed that people spend the most time on their phones using a handful of popular apps, including FB and Instagram. Twitter, which is included in the top 15 applications, also has a Buy Now button for in-app shopping courtesy of Stripe.